Many books touch upon the subject of grief, but none so comprehensively as Understanding Your Grieving Heart. Whether you've experienced the loss of a loved one last week or many years ago, you'll find solace and comfort within these pages. 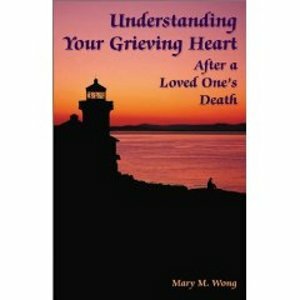 Mary M. Wong's conversational writing style, coupled with her own personal experience, makes Understanding Your Grieving Heart an invaluable resource that you will turn to time and time again on your road to stability and healing. Additionally, you will find a list of the national bereavement organizations and over 175 books on the grieving process, all reviewed by the author and categories by need. Learning more now about what you may encounter in the future will help alleviate unnecessary pain. Take this bold step to learn practical ways to help yourself through this difficult time. Begin this journey here. For nearly two decades, Mary M. Wong has counseled bereaved individuals and groups, primarily survivors of homicide victims, to better understand the grieving process and how they could gain more control during overwhelming circumstances. She is editor of the award-winning National Directory of Bereavement Support Groups and Services, and author of other works in this field. Visit her Web site at www.marywong.com.